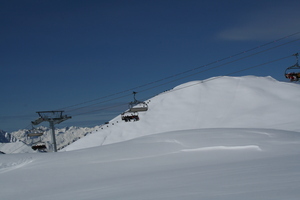 Peisey-Vallandry is the home of the Vanoise Express - 200 person double decker cable car linking the resorts of Les Arcs & la Plagne placing Peisey-Vallandry at the hub of the Paradiski ski area totalling 425km of pistes. When it was built in 2003 it was the biggest, longest & fastest cable car in the world, recently beaten by Kitzbuhel, crossing the valley in 4 minutes. 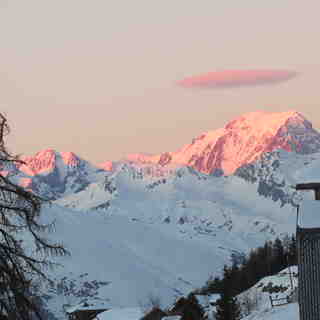 Plenty of interest for advanced skiers - probably one of the best areas for off-piste skiing in Les Arcs! Local highlights, the hike-able La Grive - local knowledge required and stable conditions but some of the best lines in resort with numerous shaded couloirs and a SE facing open face. Almost unlimited lines of off-piste tree skiing with very few surprises all with easy returns to main lifts. In good snow conditions, signature descents of 1300m vertical (1650 with hike ) right down to the valley floor at 1100m right on the edge of the Vanoise National Park. Huge beginners area & tree lined reds and blues to the village which are ideal in flat light and protected from the weather. 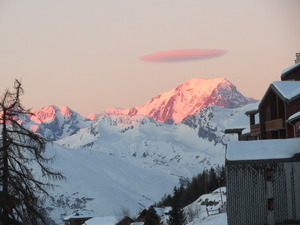 Accommodation - About 50% of chalets in Peisey-Vallandry are ski in / ski out. 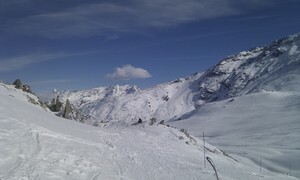 The rest are within 50-150m of slopes. 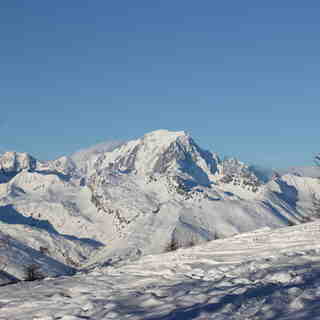 Most apartment blocks with 50-100m of pistes & lifts and most ski in. Plenty of cheaper accommodation and chalets in the lower villages of Nancroix, Moulin & Peisey-nancroix access by bus and tele-village lift. 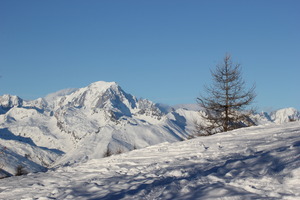 Hotels - Mont Blanc, L'Emmaraude, La Vanoise, CGH-Residences, Club Med are piste-side ranging from 1 star to 5 star. 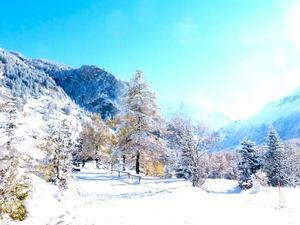 Contact details for accommodation can be found on the tourism office website Number of bars - 8 nearest airport - Chambery (1 1/2 hrs ) Geneva (2 1/2 hrs) Snowmaking - all pistes have fixed or portable smok canons ensuring snow down to village even in poor seasons.